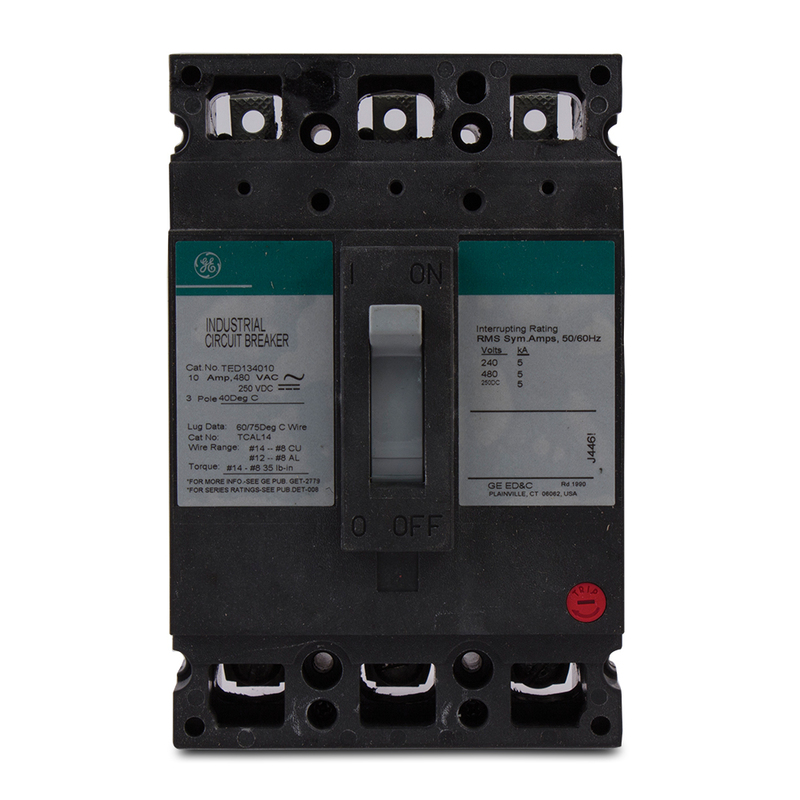 Detailed Description: General Electric TED E150 3-Pole Molded case circuit breaker finds application in load centers. 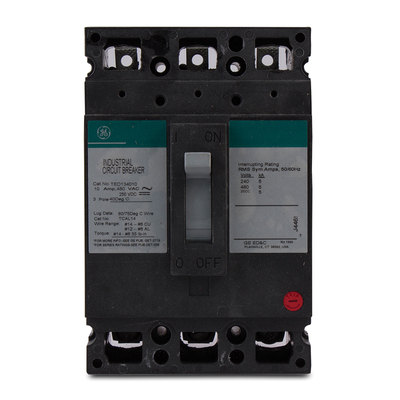 Thermal-magnetic and bolt-on circuit breaker has voltage rating of 480/600 VAC, 500 VDC and current rating of 40 Amps. It has an interrupt current rating of 18 kilo-Amps at 480 VAC, 14 kilo-Amps at 600 VDC and 10 kilo-Amps at 500 VDC. 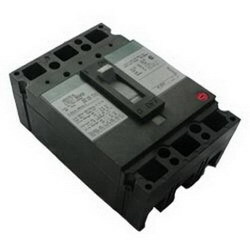 Circuit breaker has interchangeable LI trip, long time/instantaneous functionality. It measures 4-1/8 Inch x 3-3/8 Inch x 6-5/16 Inch.